With 18 years of direct experience in the solar and electrical Industry we’ve seen the good, the bad and the ugly and we have learnt how to stand out from the rest. We have a team of in house electricians, electrical engineers, and experts available to assist you by providing specialised tailored solar and electrical solutions to fit any scale of project. Our track record in the solar and electrical field speaks for itself with over 45,000+ individual solar panels installed, 3000+ individual solar system installations. Residential new builds, residential retro fit and renovations, motor homes, boats, launches and yachts, porter coms, buses, dairy farms, schools, small, medium and larger scale commercial projects, solar farms, micro grids – we do them all, and are yet to be presented with a project over and above our expertise and skill set. Image above shows NZ Aid project in Apia, Samoa. 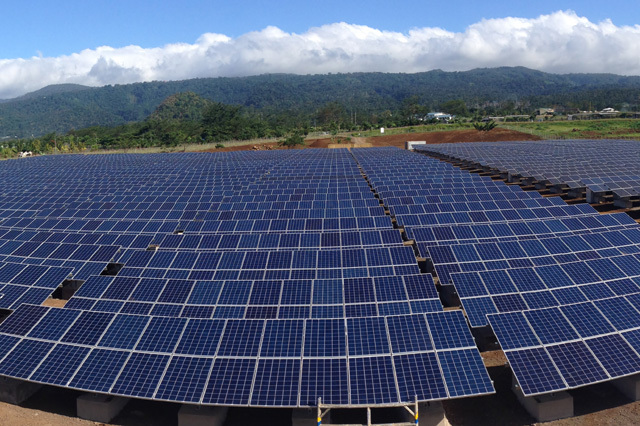 2.2MW ground mount, 8,500 panels (12 month project). Assisted with system design and layout, electrical project management, full installation and oversight of contracters. Sub-contracted to Reid Technology. 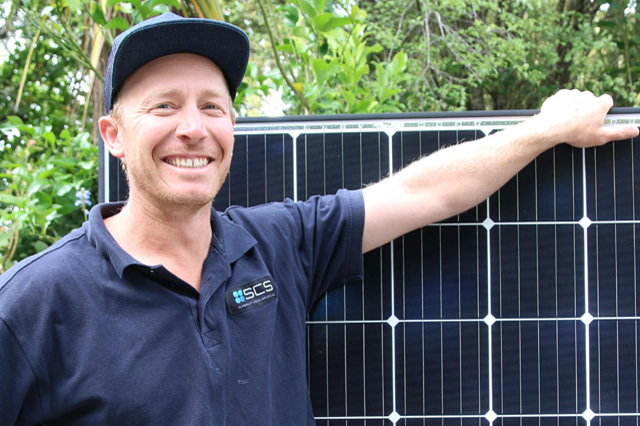 SCS has become the go to solar and electrical installation company to a number of NZ’s major electricity retailers and electricity generation companies, corporates and retailers in the solar and electrical industry. We have specialists and partners throughout the country to help and assist with any scale of electrical and solar projects. Interested in jumping on board? We are on the lookout for great people, and like minded businesses across NZ. Super City Solar is experiencing huge growth. Not only are we expanding our own team, but we are looking for like minded businesses to work with us as part of a specially developed SCS Partner Programme. You’ll receive training, leads, and access to products and online tools we’ve developed. We also have a fantastic apprenticeship programme for the right candidates and electricians and electrical inspectors are always welcome, give us a call today to have a chat. Founder Ashley Jones left Mahurangi in 2003 as a qualified (and much younger!) electrician and returned some years later with insights into the energy sector from France, Britain, Australia and Samoa. He honed his commercial skills with a large solar power company in Australia. To be known in the community for high levels of customer satisfaction, it means every job needs to be completed to the same high standard. We get things done, and we are respectful of your premises. Our installing, testing and commissioning checklist is one example of how we ensure our workmanship is top notch. There’s a number of checks we run on every job, and they cover both solar and electrical aspects. From the obvious checks on your inverter and operating current, to your hot water, and even checking all screws (even if we didn’t touch them), we leave your place confident you’ll have a system that’s giving you the best possible outcome for your investment. Even correctly labelling components is one of those small things that just has to be done right. We are active and proud members of the Sustainable Electricity Authority of New Zealand (SEANZ) and the Clean Energy Council Of Australia. With 18 years of direct experience in the solar and electrical industry, we've seen the good, the bad, and the ugly, and have learnt how to stand out from the rest. 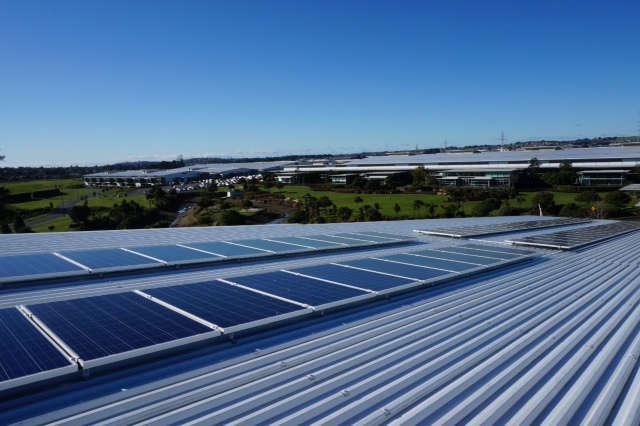 From our Warkworth base in Rodney, we have become the go to solar and electrical installation company to a number of NZ's major electricity retailers, generation companies, corporates and retailers in the solar and electrical industry. 45,000+ solar panels installed... and counting!